Working on a home décor project? We have the perfect alternative to conventional foam. 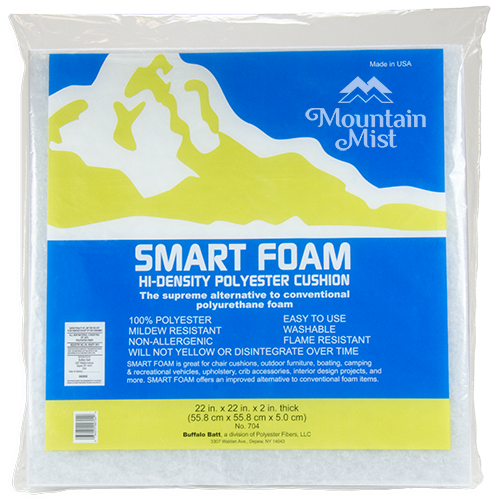 Smart Foam™ constructed of 100% polyester is perfect for chair cushions, outdoor furniture boating, camping & recreational vehicles, crib accessories, interior design projects and more. Smart Foam is mildew resistant, non-allergenic, and flame resistant. It is also easy to use, washable and will not yellow or disintegrate over time.